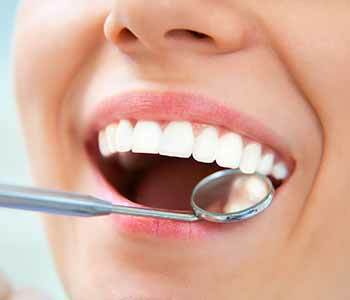 Preparing the dental material – Your dentists at Sherwood Dental take great care to match composite resin to surrounding teeth. A shade that is lighter than the surrounding teeth may be recommended should you also desire a whiter smile. In these cases, Drs. Gaines and Patel discuss whitening treatment before the bonding procedure, so you end up with a uniformly white smile. Preparing the tooth – Teeth to be bonded are slightly etched. This step texturizes surfaces, which helps composite resin adhere well to natural tooth structure. A thin layer of conditioning liquid is then applied to prepared surfaces, creating the fit that results in the most natural feel and appearance. Applying the resin – This step is crucial to the outcome. Technical aptitude is one thing; artistic skill is quite another. Dentists combine both technical knowledge and artistry to sculpt the composite resin in a way that corrects your dental concerns. The material is shaped and smoothed to make a short tooth look longer, round out a pointy tooth, close a gap, or cover chips and very dark stains. Bonding the resin – After the material is shaped so that it looks and feels like a natural and healthy tooth, this putty-like resin is hardened with a special light. This device also activates a process in which the resin bonds to the tooth for the utmost strength and durability. As a final touch, the bonding is polished and minor adjustments are made. Both the materials used to make your new and improved enamel and to bond the resin to the tooth have come a long way, so you should expect to enjoy your treated teeth for years to come; however, good oral hygiene is a must. 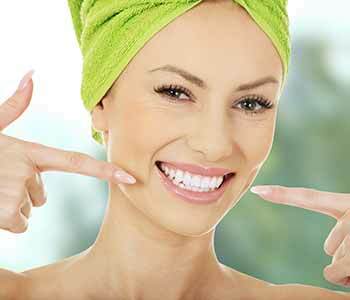 Bonding is largely considered to be a less durable alternative to veneers. There are trade-offs. Also known as “indirect bonding,” veneers made in a lab and cemented to the teeth are stain-resistant and mimic the qualities of a natural tooth; however, they cost more upfront than bonding. They’re also irreversible, because the tooth must be slightly reduced to make room for the veneer. Since cosmetic bonding is less invasive (no enamel is removed), anesthesia isn’t required, and sensitivity sometimes experienced by veneers-wearers is avoided. Avoid tobacco and staining foods and drinks – Maintain the brilliance of your improved teeth. Stop smoking. Integrate more cleansing foods like carrots and apples. Try to limit coffee, tea, wine, and berries. If it can stain your clothes, it can stain your teeth! Prevent enamel erosion – Even healthy foods like oranges are highly acidic. When combined with bacteria naturally present in your mouth, the resulting acid bath eats away at tooth enamel. Keep a travel brush close by and be sure to rinse your mouth frequently when consuming acidic foods. Modify damaging habits – Chipped teeth are one of the telltale signs of night-time tooth grinding. Sherwood Dental designs customised dental appliances to protect your bonded teeth and, ultimately, the investment you’ve made in your smile. Are you a candidate for bonding? Or would alternative treatments like veneers, cosmetic braces, and partial or full crowns best suit your needs? Find out during a consultation. Contact Sherwood Dental today to schedule yours.